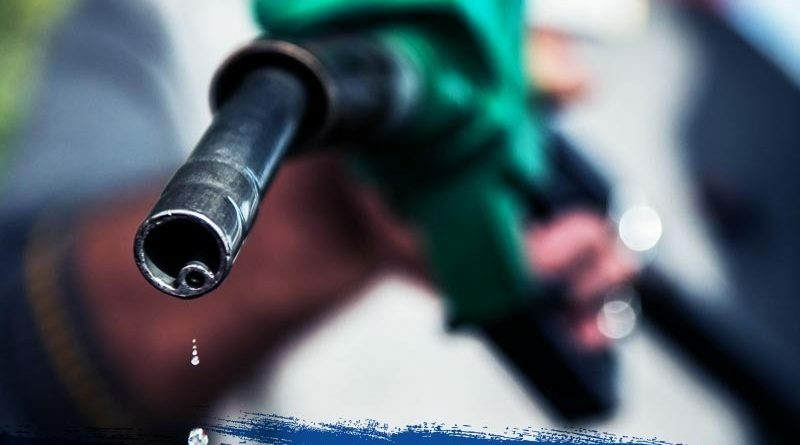 The Cabinet of Ministers on Tuesday decided to revise Sri Lanka’s domestic retail prices of petrol and diesel on a monthly basis in future while agreeing to continue the adjustment of prices based on the cost-reflective formula computed in line with international oil prices. According to analysts, this new pricing mechanism – which primarily takes into account variations of Brent crude oil prices of the Singapore Platts Price per barrel (including premium) and the prevailing exchange rate against the US Dollar – is a highly equitable and progressive system and advantageous for both consumers as well as the Government. The next revision to the fuel prices will be on August 10 and is to be determined by taking into account the fluctuations in market prices in the preceding month, the Sunday Observer reliably learns. “As we all know, the Ceylon Petroleum Corporation (CPC) incurs heavy losses as a result of selling fuel below its actual cost. However, what happens ultimately is that the poorest segment of the society is then forced to bear the brunt of the burden of the CPC losses by way of indirect taxes. Hence, these losses disproportionately affect this vulnerable segment of society,” a senior economist said. Fuel prices are publicly administered in Sri Lanka and have been predominantly fixed since 2015. Because of this, CPC, the dominant state-owned supplier of fuel in Sri Lanka has been occasionally tasked with supplying electricity and fuel at prices below cost-recovery levels. This is referred to as non-commercial obligations (NCOs). Currently, Sri Lanka has a regressive taxation system whereby indirect taxes comprise 82 % (or 8 % of GDP) while direct taxes comprise of a mere 18 % of total tax revenue (2 % of GDP). Direct taxes are taxes applied on individuals and organisations directly by the Government in proportionate to their income earned while indirect taxes are those applied on the manufacture or sale of goods and services and passed on to the end consumer. What the direct to indirect tax ratio signifies is that the island’s higher-income taxpayers pay a comparatively smaller percentage of their income than lower-income taxpayers because the tax system is not based on ability to pay. Simply put, the rich would get richer while the poor would get poorer under this system. To rectify this anomaly, both the 2010 Presidential Taxation Commission and the recent Economic Policy Statement of the Prime Minister have set the target of progressing into the direct to indirect taxes ratio of 40:60 by year 2020. “Keeping price of fuel below the global market determined level is an implicit subsidy that is reflected in CPC losses and has to be funded eventually by the tax payer. The implicit subsidy itself is mis-targeted since the subsidy is consumed primarily by the vehicle owning rich. Therefore, this subsidy is in effect enjoyed by the rich and funded by the poor,” Economic Advisor at the Ministry of Finance, Deshal de Mel said. Hence, he elaborated that any downward deviation of price from the market rate results in over consumption – in this case it results in higher oil imports which are bad from a Balance of Payments perspective, and it contributes to additional traffic on the roads with negative environmental effects. The three major components of petroleum products in Sri Lanka are petrol, diesel and kerosene oil. Under the Government’s pricing structure, prices of diesel and kerosene are heavily subsidised as the two products are mainly used for income generation activities while impacting the majority of the low income earning population. A major portion of petrol is consumed by middle income and upper middle income earners like car and motorcycle owners while diesel is consumed by those dependent on public transportation. Diesel is also a vital raw material for the industrial sector, fisheries and for electricity generation of the thermal power plants. According to the latest Annual Report of the Ministry of Finance, Sri Lanka’s total cost of importation of petroleum products (crude oil and refined products) in the year 2017 amounted to around US$ 3.2 billion representing around 12% percent of the country’s total imports. “Given the vast scale of CPC’s operations where it enjoys a market share of about 80% of Sri Lanka’s domestic petroleum industry, even an Rs.1 loss per litre suffered by CPC by selling under cost, has a major detrimental impact on its profitability. When CPC loses money, it hits the poorest the hardest,” an industry analyst said. According to Finance Ministry data, the absence of a cost reflective tariff structure, during 2017, resulted in the erosion of the positive operational margin recorded by CPC by almost 95% in comparison to 2016. CPC’s operational profit which was reported at Rs. 69.6 billion in the year 2016 reduced drastically to Rs. 3.5 billion in year 2017. Hence, experts believe that a cost reflective pricing formula if adjusted frequently in line with international oil market prices will improve the financial viability of the CPC while ensuring transparency in petroleum pricing. They note, that, on the other hand, the more frequently prices are adjusted to reflect international oil price movements they will then minimise the shock to the people. “The daily adjustment of fuel prices known as the ‘dynamic fuel pricing model’ is presently being followed in several countries in Asia including India and Singapore, Europe, Australia and US, where prices change depending on the hour of the day and even in a particular area based on demand,” an energy sector analyst told The Sunday Observer. In June last year, India adopted a ‘daily petrol price revision system’ moving from a fortnightly basis wherein changes in cost are now reflected daily at 6 a.m. The price change is reflected on the various portals and mobile applications of the oil companies and are displayed at every petrol pump very clearly, analysts pointed out. “Changing the petrol and diesel prices frequently is beneficial for both the consumers and the Government as any positive change or relaxation in the crude price will be enjoyed by the consumers as the Government would reduce the fuel price proportionally. This variation of reduction was never enjoyed by the consumers earlier as the prices were locked in for several years and many a times it became a burden on the Government. Overall, it’s a win-win!” the official, who did not wish to be identified, pointed out. Meanwhile, Product Lead at Frontier Research (Pvt) Ltd, Nirukthi Kariyawasam says that while many developed nations follow market-determined fuel pricing, most developing countries administer a fixed pricing mechanism where the state authorities decide the fuel prices rather than allowing the market forces to determine them. “However, the problem with Sri Lanka was the lack of a transparent method to determine these prices. As a result, under the fixed pricing regime there is a significant mismatch between the import cost and the sales price of fuel which leads to ad hoc price revisions from time to time that are economically unjustified,” she points out. Therefore, Kariyawasam argues that although administered pricing helps to control the volatility of the price movements, it also causes distortions that tend to have wide-spread impact on the macro variables in the long run. “These are very difficult and painful to reverse. This is what we witness today in Sri Lanka; the Balance of Payment is heavily affected by the fuel import bill; CPC is running on losses; and the fuel subsidies have become a huge fiscal constraint amidst rising global oil prices. Unfortunately, the only way around this is the hard way. Initially the shift to a market based fuel adjustment will be difficult but it is required,” the Product Lead at Frontier Research advocated. With each passing year, oil seems to play an even greater role both in the global and the local economy. Although international oil prices were on a declining trend from the beginning of the year 2013, there has been an upward movement with the commencement of the year 2017. The UK Brent crude oil, which was around US$ 113/bbl at the end of year 2013, reduced to US$ 54/bbl by the end of year 2016 and closed 2017 at around US$ 64/bbl. However, consequently, Brent, the international benchmark, has risen by more than 25% this year and is currently trading at around US $74 a barrel.